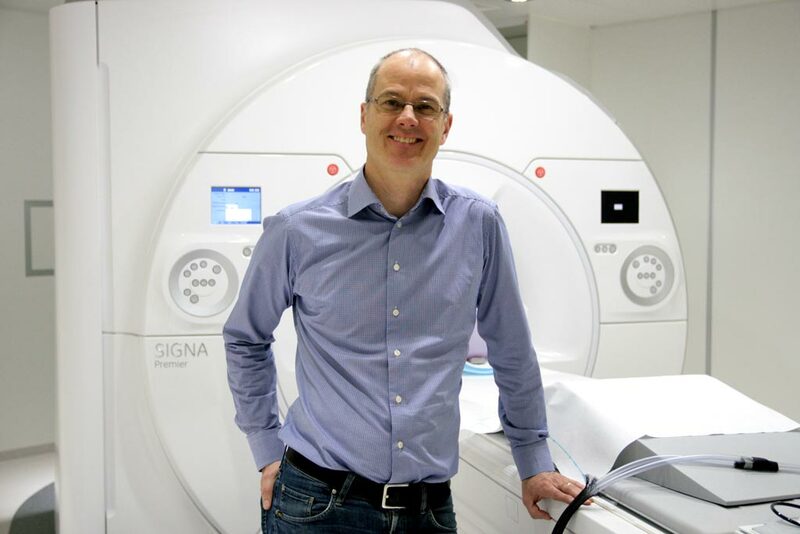 A new study suggests positron emission tomography (PET) scans can be used to calculate engagement and tumor-residence kinetics of antibody therapeutics. Researchers at Johns Hopkins University School of Medicine (JHU-SOM; Baltimore, MD, USA), Memorial Sloan-Kettering Cancer Center (MSKCC; New York, NY, USA), and other institutions developed a radiolabeled peptide that binds to programmed death ligand-1 (PD-L1), in order to study the mechanism of interaction between the checkpoint protein and the antibody therapeutics atezolizumab, avelumab, and durvalumab; how they are expressed in different tumors; and how efficiently and quickly they bind to PD-L1 receptors at the tumor using PET imaging. 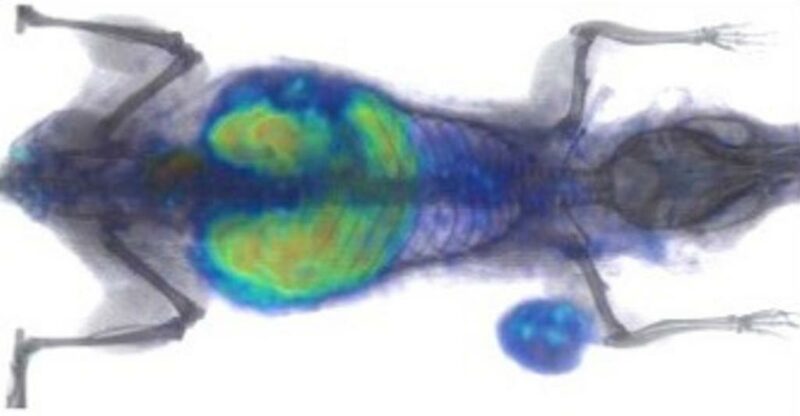 Image: Radiolabeled WL12 lights up tumor in a mouse under a PET scan (Photo courtesy of Sridhar Nimmagadda / JHU-SOM). The researchers found that both PD-L1–targeted monoclonal antibody drugs, and a high-affinity PD-L1–binding peptide called WL12 have common interaction sites on PD-L1. Using the peptide radiotracer [64Cu]WL12 and PET imaging demonstrated that variable PD-L1 expression and its saturation by antibody therapeutics can be quantified. Next, they used the radiotracer to evaluate the impact of time and dose on the unoccupied fraction of tumor PD-L1; using mathematical modeling, they calculated the antibody therapeutic doses needed to achieve therapeutically effective occupancy (defined as over 90%). The study was published in the February 2019 issue of the Journal of Clinical Investigation. Checkpoint inhibitors are designed to help the immune system recognize cancer cells as dangerous and target them for destruction. Tumors often hijack these natural protective systems, thus allowing them to masquerade as healthy tissues. PD-L1 is one such checkpoint target, and it is currently the backbone of immune checkpoint therapies.